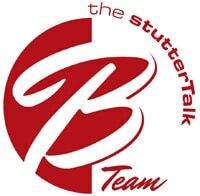 Caryn Herring, Joel Korte and Roisin McManus (the Stuttertalk “B Team”) introduce themselves and provide insights as to where they are with their personal stuttering journeys. The B Team discusses an email from Peter F. regarding dating, interesting stuttering situations that Joel and Roisin have dealt with recently and much more. StutterTalk is excited to announce that the B Team will be publishing one show a month of stuttering goodness!